Usually wardrobes are installed along the walls, so there isn’t too much space for the imagination here. Still, this is your room, and you are free to adjust furniture layout whichever way pleases you. If, for example, you are not looking for a spacious model, you might want to go with a corner one. Or, if there is a niche in the room, it can be easily turned into a fitted wardrobe. Then, of course, you will have to think over your bedroom decoration theme and find suitable designs and materials. If the room has a traditional focus — go with genuine wood. If you are inclined towards something modern — consider high gloss base, or mirrored doors. If you do not like mirrors but would still prefer to have an eye catching model in the room, go with tempered glass doors. Yet another important thing while looking for free standing wardrobes with sliding doors is to consider which storage units will meet your expectations. No doubt, a spacious wardrobe will have hanging rails, some shelves, and some drawers. You should define which are going to be the dominant units in an assembly matching your needs. Perhaps, one of the most important tips while looking for free standing wardrobes with sliding doors is to pay attention to sliding mechanism quality. Rails should be very durable and the mechanism — strong. Sliding rails can sometimes be repaired in case of damage — and you should better choose the ones that can be. And, of course, you should also go for durable materials. 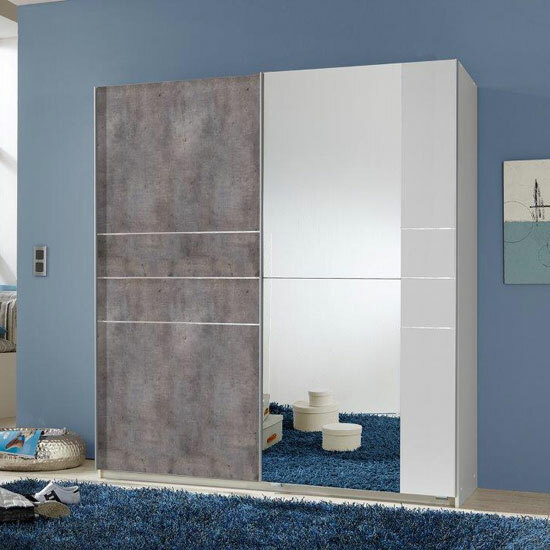 A lot of high quality free standing wardrobes with sliding doors can be found at Furniture in Fashion store. This is one of the biggest online platforms in the UK that also has a showroom in Farnworth. There, you can personally examine any wardrobe you find interesting, which is generally a wise thing to do while shopping for such an important furniture piece. Plus, this platform keeps prices very affordable, which is another important perk while looking for free standing wardrobes with sliding doors — which are not the cheapest of all furniture units. Still, the major reason to check the store out is that it works only the best of the best furniture manufacturers, which is vividly reflected in their product selection.